Update: The Razer Nabu price has dropped to $39.99 on Amazon. I don't know how long it will be priced that low but you buy the Razer Nabu here as well as the new Razer Nabu Watch. So I've been able to test out the Razer Nabu for about a couple weeks now. My findings were surprising and honestly disturbing. In order to be fair, I'm not going to compare the Nabu to other smartbands like the Fitbit. Instead what I will do is explain what it does well and what Razer needs to improve on. It may be to early to say, but I am slightly disappointed in the Nabu. However, depending on your needs, this may be the smartband for you. When it comes to sleep tracking, the Nabu does better than any app or device I have personally used. It lets you know just how restless you were during the night and the numbers are consistent with other apps that I have used. The "Silent Alarm" is a great feature. You set the alarm on your phone using the Nabu Utility app from Razer to set the alarm. When it goes off it vibrates only waking you and not your significant other. This is a much need feature for those that have to wake up at different times than there significant others. If you trying to lose weight it is often more important to know how many calories you are burning throughout the day. Steps are great, but calories are where it counts and the Nabu tracks the calories you burn throughout the day. I'm just going to mark this up with a list and the explain the major fault if you have one right now during the time of this posting. The big kicker that will make those who already have the Nabu right now mad is that the release of the Nabu SDK won't come until the end of Q1 2016. This means that there isn't likely to be any new apps until that time. I was really looking forward to learning to develop apps on the Nabu but as of now that would pretty much be pointless until the new SDK is released. 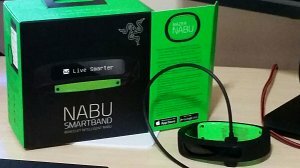 It looks like we will all be stuck using the Nabu Utility for the next 5+ months. Regardless of the things the Razer Nabu currently lacks, I think in time it will be an awesome device. 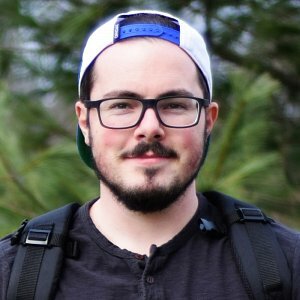 I think Razer's dev team needs to get the new SDK out before we can expect to see any quality apps come out. In the meantime I hope they improve the Nabu Utility app and include some of the features that I think they should have included to begin with. Either way I think this smart band will become more successful in the coming months. As of now though, if you don't have one yet. wait to get one. basically it’s a crappy product. It lost the correct time already 4 times during the last 4 weeks. Sleep tracking is unbearable incorrect as it thinks I’m sleeping when I’m just not moving my arm for 5 minutes or so (which might happen easily while watching tv or reading a book). Although my audio player of choice does react fine to bluetooth commands from the car, it doesn’t react to the nabu. It only lasts about 3 days instead of the promised 6.
pro’s are that I like the design, messaging works great, good display.